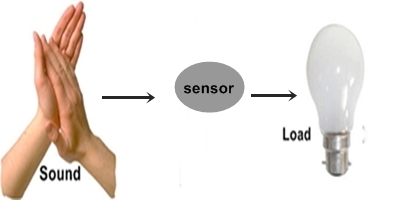 High Sensitive Clap operated switch circuit Without Microcontroller.When clapped , Connected Load is Switch ON. Again Clap, Load is switch OFF. condenser mic is worked as sound sensor. You can Switch ON and Switch OFF The Appliance At your Room by simple clapping Or by a Sound. This is Sound activated ON OFF Switch to ON or OFF any appliance. This clap operated ON OFF Switch circuit is very sensitive and easily operated upto distance of 5 Meter If condenser MIC is fix into a Special type of Cover to Receiving More Sound From Maximum Distance. This Clap/Sound controlled ON OFF Switch circuit consists two ICs , two NPN transistors, One PNP Transistor and some other components. 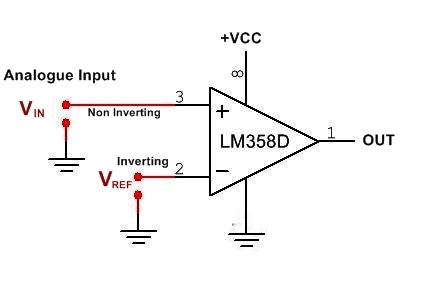 The LM358 is an opamp-comparator which has two Op-Amp in a single ic chip. 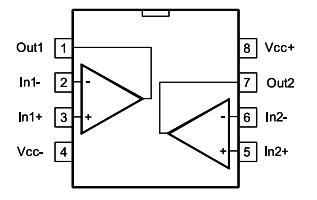 This ic is dual operational Amplifier But in this circuit one op-amp is used. Connect All the required components as Given diagram. Enclose condenser microphone to As possible as maximum sound Reach easily to this . Use all the Resistors as given value for more sensitivity and set the preset by moving. You can use 2N2222 Transistor as the place of 548. 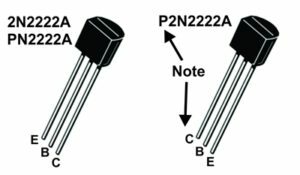 2N2222 has fast switching Keep in mind to Condenser MIC has polarity , So if the circuit is not working then check the polarity of MIC. 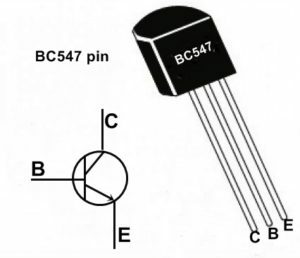 Pin Configuration of BC548 and BC558 is same. IC 4017 is a decade counter which has 10 outputs , Outputs are ON one by One in sequence as Clock Input at pin 14 is changes. When once Clock input is changed then output is goes at next. When Again the clock input is changed at pin14 the output is goes at next output pin and so on. Pin-2 is the output 1. It goes high when the counter reads 0 counts. Pin-4 is output 2. It goes high when the counter reads 2 counts. 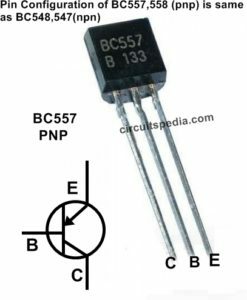 Clock input change means the input of pin 14 is changed with Negative to Positive voltage supply Or Reversed. When Clock input is changed then the output of 4017 is changed From High to Low And Low to High. This Property is used in this project. IC 358 is Dual Opamp Comparator Which Compare the input signals Level at inverting and non inverting input pins as Low or High signal valtage Level in respect with both pin. This ic has two input, inverting and non inverting. Inverting input is called as Vref. Non inverting input is called as Vin. The output of comparator is depend on voltage level of these both input. At first when Circuit is switched ON But no clapped, The condenser mic no detects any sound and at this condition the resistance through this is Very high and The voltage level at the pin 2 (Vref) is Very Less in compare with Pin3 (Vin). In this case the output is 0. When clap, the sound is detected by condenser mic and the resistance between vcc and pin 2 is very less and voltage level get increase in compare with the voltage level between vcc and pin3. In this case the Output is changed and it is now Turn Low to High . As the signal input at pin 14 of 4017 in changed as the output at pin 2 is changed from Low to High. Again When the input at pin 14 is changed ,the output at pin 2 is changed from High to Low. 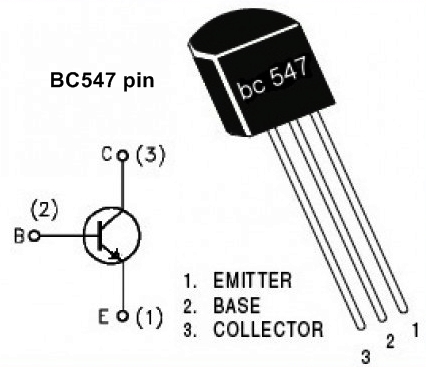 According the output of pin 2 transistor Q3 is Turn ON and OFF and Relay Activate therefore the Appliance is ON OFF By clap. Rattling excellent information can be found on website . "Life without a friend is death without a witness." by Eugene Benge. My name is Aly and I would like to know if you would have any interest to have your website here at circuitspedia.com promoted as a resource on our blog alychidesign.com ?